Many a times, it so happens that your messages get lost. Now, we all store important details in our messages. In such cases, you may wish to restore it. Your iCloud has your messages backed up and you can restore it from there, but what if you do not know the way? 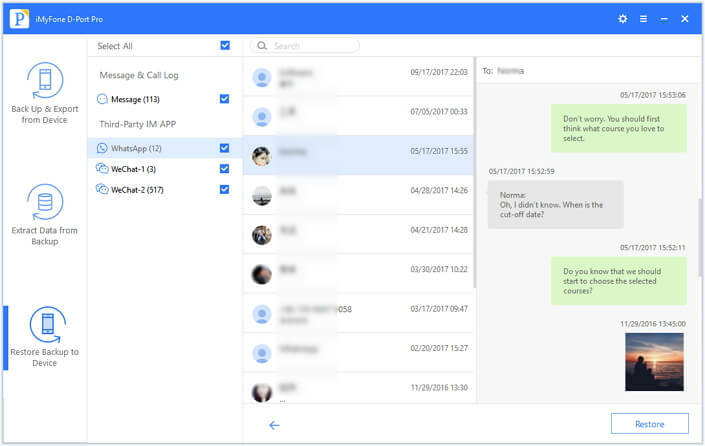 This is why we are going to discuss the different ways by which you can restore your text messages stored in the cloud to your iPhone X or iPhone 8.
iMyFone D-Port Pro is undoubtedly one of the best tools you can use. It comes packed with the best features that one could ask for. It comes with an easy to use interface and requires no prior training as such. Here are some of the salient features. It enables you to selectively restore Messages, WhatsApp data and WeChat data from iTunes/iCloud backup to your device. You don’t have to erase all content and settings on your iPhone before restoring. Besides selectively restore, it also empowers to restore a complete backup to the device. You can also choose to make a full backup or a partial backup of the device with this program. Step 1. Download and install iMyFone D-Port pro on your system. Choose “Restore Backup to Device” option and select an iCloud backup. If the backup file from which you want to restore message in not present on your system, you need to click on the hyperlink ‘Download iCloud backup’ to download it. Step 2. When the downloading and scanning has finished, this program will display the data in the iCloud backup for previewing. Step 3. 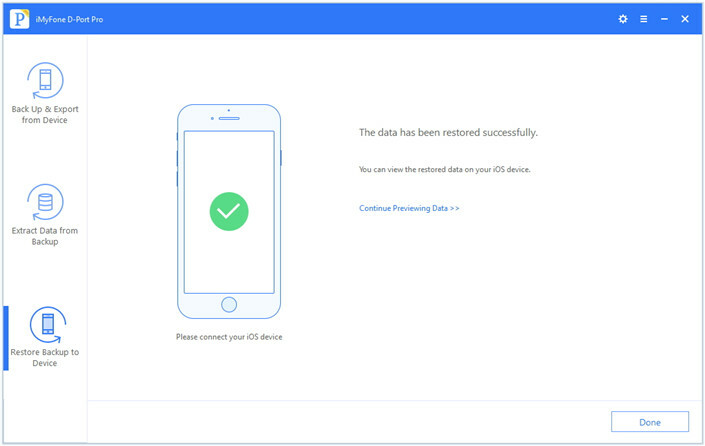 After previewing, click “Restore” and the program will restore selected data to your iPhone X or iPhone 8. And the restoring process will last for a while. Please don’t disconnect your device with this program during the process. Now, iMyFone D-Port Pro will show you the data so you can preview it. The messages wall then be restored on your iPhone. If you are looking for simpler and common solution without the use of any tool, here is what you need to do. 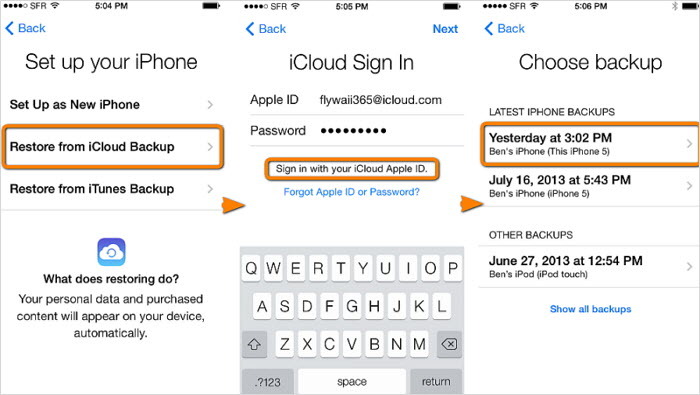 Here are the steps to be followed to back up your iPhone with iCloud. Now tap on ‘iCloud backup’ and make sure that it is turned on. If not, slide the button to turn it on. Tap on ‘Back up now’ and you should stay connected to the Wi-Fi. This way, your content on the phone will be backed to your iCloud all the time. 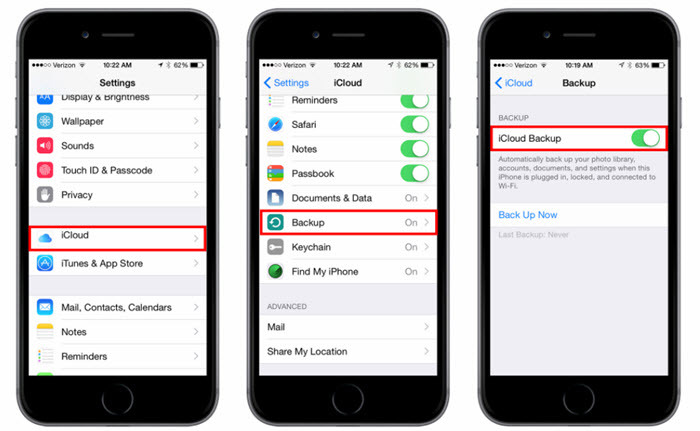 If you are looking to restore an iCloud backup, here are the key steps you need to follow. On seeing the Hello screen, follow the onscreen steps and you will finally reach the ‘apps and data’ option. 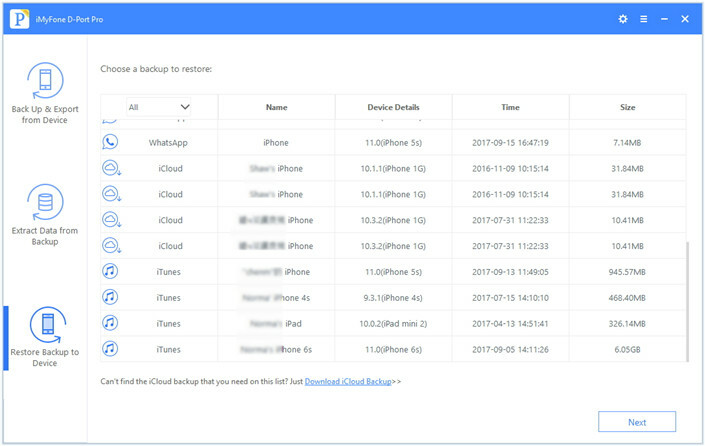 There you need to tap on ‘Restore from iCloud backup’. You will find a lot of backup files and you need to choose the relevant one. Now, your iCloud backup content will be restored to your device. Make sure not to disconnect your phone. So, use these steps and you will be able to get your lost content with the help of an iCloud backup. The tool we recommended is amazing too and offers the best help that one can ask for. So, choose whichever method suits you best.